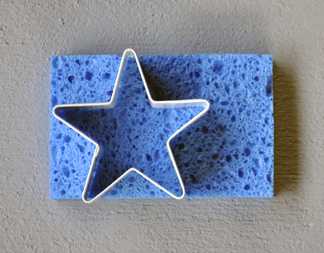 Begin with your chosen color of craft foam. 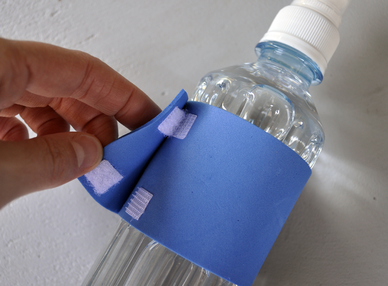 Cut strips wide enough to cover the label on the water bottle. Be sure to add 1 inch to the total length of the craft foam label so you have enough overlap for the velcro closure. 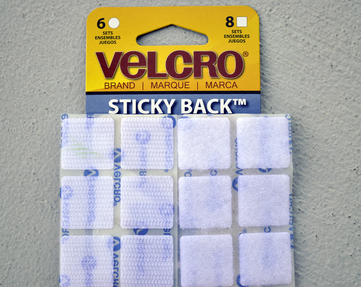 Use Velcro Sticky Back tabs to stick onto the ends of the foam as shown above. 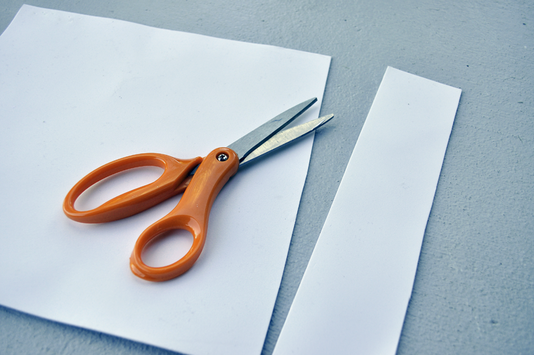 Using velcro closures allows the custom covers to be used over and over again. 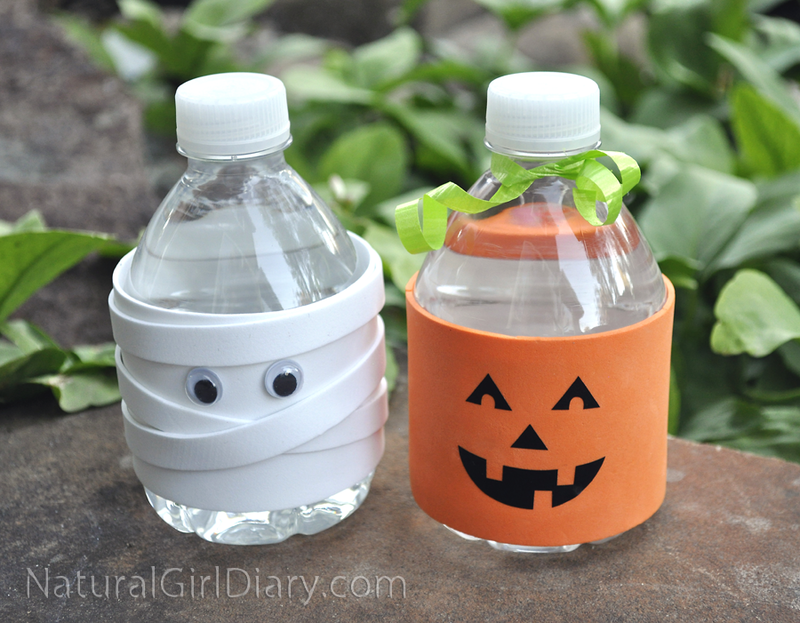 For the pumpkin, draw a face with black marker or use vinyl rub-on transfers or stickers. 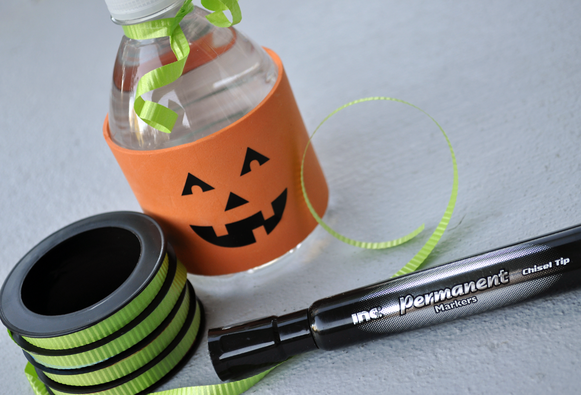 Tie green curling ribbon around the neck of the bottle and curl with a scissor. 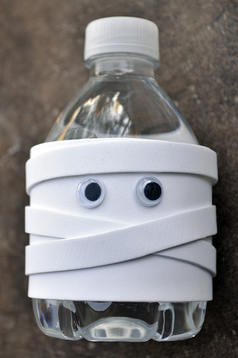 For the mummy, wrap a white foam sleeve around the bottle and cut 3 strips of foam approx. 1/4 inch thick. Wrap two crossing each other so they make an "x" in the front. 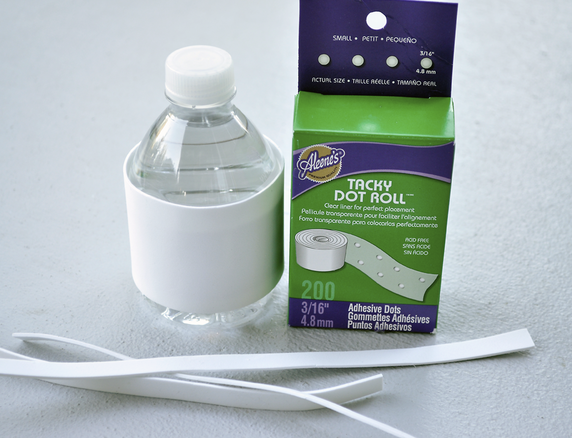 Secure with glue dots (shown above) at the back. Place the final 1/4 inch strip slightly skewed near the top and using glue dots, adhere googly eyes just below the strip (or "bandage") of the mummy. All wrapped up and nowhere to go? 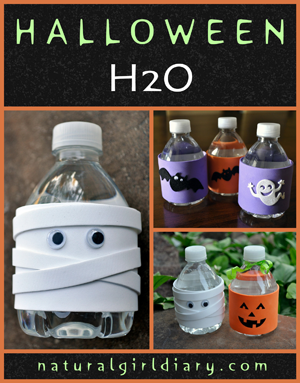 Add this little guy to a kid's lunchbox or make multiples for a theme party. 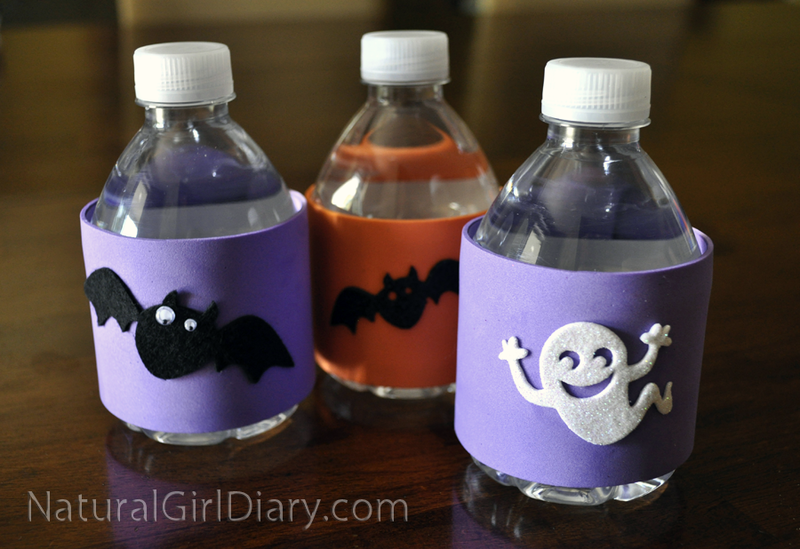 Embellish wraps with craft foam stickers for the simplest trick -and treat - of all!